Are you just venturing into responsive design? Or are you looking to learn more about best practices, recent industry developments, and challenging hurdles? 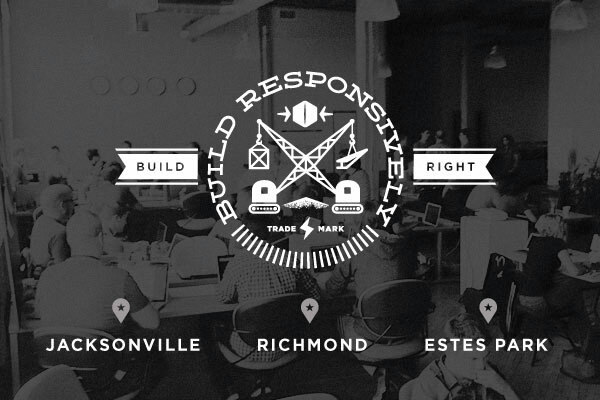 No matter where you hit the spectrum, Build Responsively has a lot to offer you. This year, we teamed up with respected conferences across the country to add the Build Responsively workshop to their offerings. And it’s helped us realize our hope to hit more cities, develop more content, and meet even more of you! We felt like Johnny Cash this year. Ok, maybe we haven’t been everywhere, but we’ve had a great run this year and enjoyed getting to meet many of you along the way! As of writing this, we’re in Jacksonville, Florida, at Converge FL (September 11-13, 2013). Earlier in the year, we were also able to bring Build Responsively to Artifact in Austin, Texas (May 13-15, 2013); Converge SE in Columbia, South Carolina (April 25-27, 2013); and In Control in Orlando, Florida (February 17-19, 2013). Early bird pricing ends September 20. Start to finish through the most up to date web design & development workflow we can find through keynote talks from some of the best people working on the web today. This sounds perfect to us. Come on out and use coupon code “friendsofsparkbox” for $50 off of your entire ticket, including the workshop. Just a short, beautiful drive down the road from Denver, some of the brightest minds in CSS will be doing their thing. There on the 23rd, we'll be doing our responsive thing with a mountain view. Use coupon code “SPARKBOX” for $100 off the workshop. Register and join us! ARTIFACT is a two-day, single-track conference for DESIGNERS who are adapting to the challenge of designing for a MULTI-DEVICE world. We participated in the first one and can guarantee you don’t want to miss this conference. Use coupon code “SPARKBOX” for $200 off when you attend the workshop and conference (good for $100 off each). Register and join us! Ben and his team are not only seasoned professionals who do this type of work in a production setting day in and day out, they are superb instructors who can explain the complexities of both the technical and design oriented parts of Responsive Design without alienating either type of attendee. As long as Sparkbox is producing workshops, we'll be working with them on all of our events. Sparkbox & The Build Responsively team have an excellent reputation as leaders in Responsive Design, adapting new techniques and practices daily for high-profile, real-world clientele. They bring a wealth of experience and an easy-going manner to workshop attendees, leaving each group with plenty of practical information and a gameplan for ‘making it work.’ Our attendees really love the Build Responsively workshops! Want to stay updated? Keep an eye on the Foundry and follow @hearsparkbox and @brworkshop on Twitter.